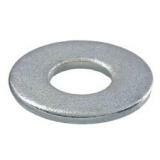 Washer .361" x .500" x .059"
Flat washer .361" x .500" x .059" thick. Flipper crank bolt with flat 90 degree notch washer modified for use on flipper pawl. 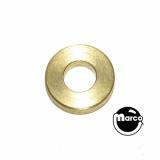 Washer 0.70" x 1.19" x 0.09"
Flat washer 0.70" x 1.19" x 0.09" thick. 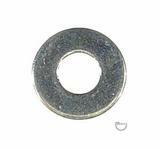 Flat black washer .465" outer diameter x .20" inner diameter x .032 thick.